Two-week sessions will be held on Sundays, Oct. 13-20 and Oct. 27-Nov. 3. Transition from music-playing to music creation on the ukulele with hands-on learning and seamless application of music theory as you play. The class uses innovative educational tools in an engaging multimedia format. Intermediate (1 to 2:15 p.m.): Learn strumming, arpeggios and soloing techniques to expand your playing. Requirements: Intermediate players can strum in rhythm while playing these five chords in order: C, Em, F, D7 and G7. 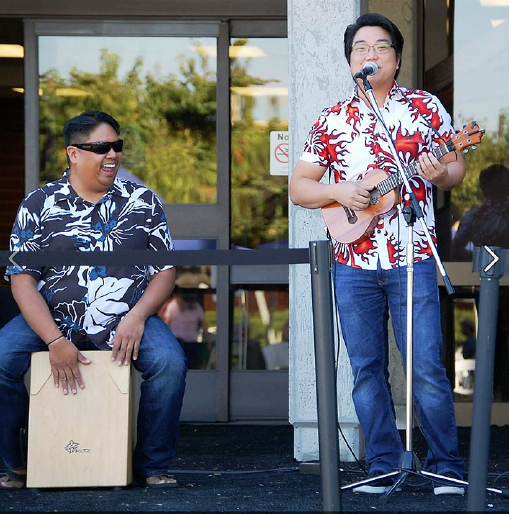 Beginner (2:30 to 3:45 p.m.): Learn how to make the most of a jam session through the creative use of rhythm, counting, and playing in time using the fun and accessibility of the ukulele. Requirements: Beginners should know the basic ukulele chords, C, F, and G.
The cost is $75 general, $65 for JACCC members, which includes two sessions (beginner or intermediate) and two instructional books. To register, email [email protected] For more information, visit http://UkuleleCreations.com. The JACCC is located at 244 S. San Pedro St. in Little Tokyo and can be reached at (213) 628-2725.